Two is better than one definitely stands true for husband and wife, Tyler and Cassie Schleich of Monmouth, Illinois. 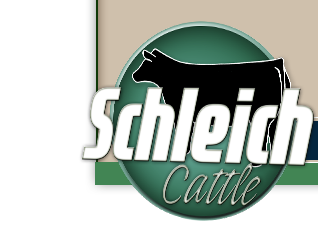 The couple established Schleich Cattle, raising Angus and club calves, in 2009, but their experience, knowledge and passion for the beef industry dates to their lifetime. While their passion for the industry is very similar, their backgrounds within are dramatically different. 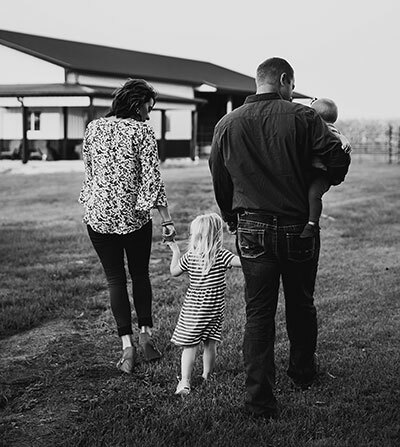 Tyler grew up with commercial cows and in the spring of 2007, purchased his first Angus cows through the guidance of Bud and Deb Hobbs. Cassie started showing steers at a young age and quickly added heifers to the string. Over the years, Cassie and her family built a small herd by retaining the top end of the show heifers. Their combined experiences provided the perfect match for learning from each other and growing their business today. The Schleich's breeding program is focused on the Angus phenotype with a balanced set of EPD's. Their clubby cows are bred to be showy enough for the show ring, but functional females who will breed. Contact them today to see their top quality stock at the farm or at the Lamoine Valley Angus Sale at 309-335-3939 - Tyler or 309-368-5980 - Cassie. Their commitment to customer service and knowledge of the top sires in the industry is bar none!